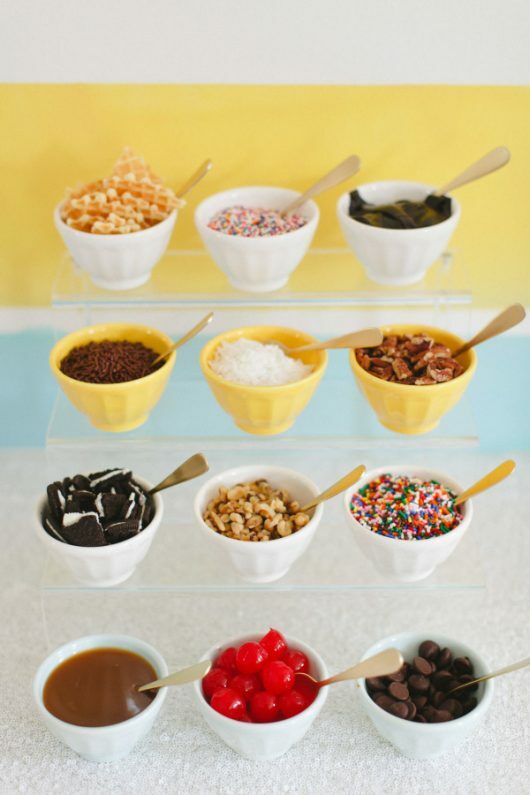 Ice cream sundae bar: Ideas, topping ideas, and recipes: Summer party. 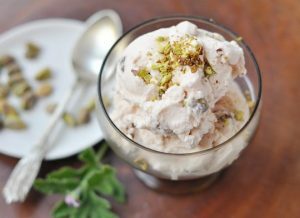 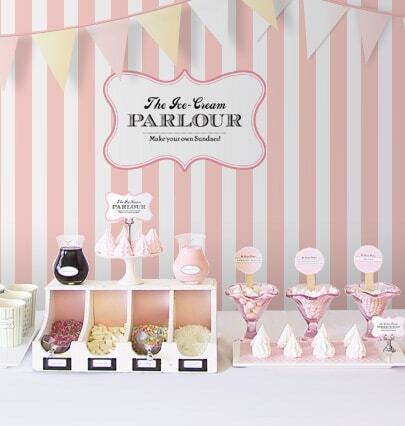 Hosting an ice cream party this summer? 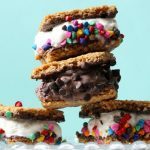 Here is a roundup of 20 ice cream sundae bar ideas, including tips, tricks, topping ideas, and recipes. 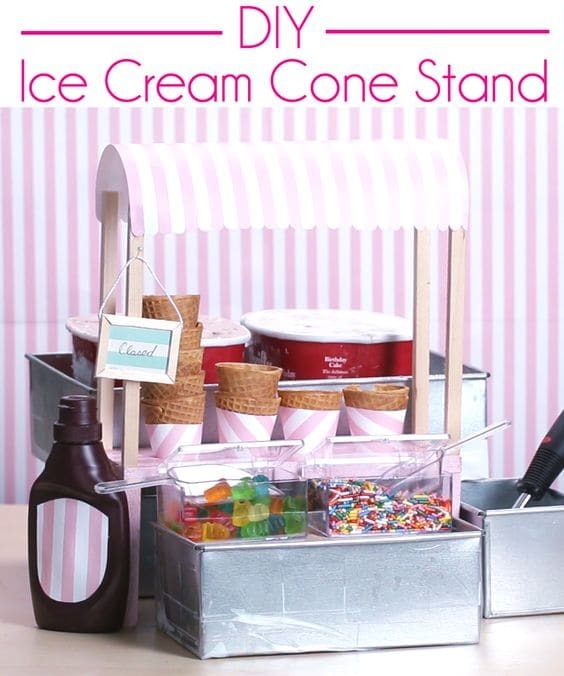 Find these ideas for ice cream sundae bar and more on my Pinterest board. 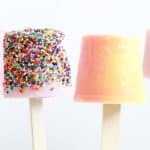 And if you like this, check out this easy idea for mini ice cream sandwich pops or make these candy ice cream cone pops for your party. 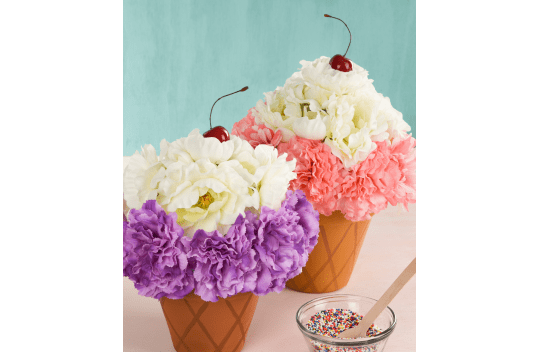 Love these flower pot ice cream cones for centerpieces! 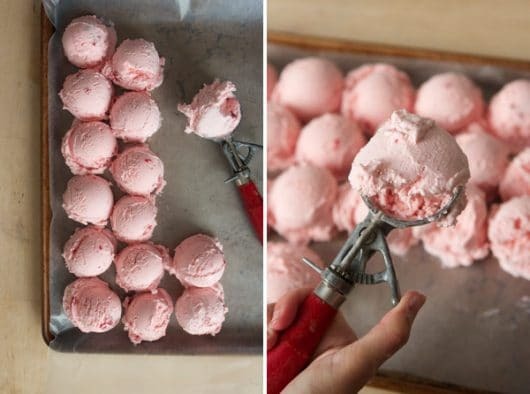 Find basic ice cream bar advice at the kitchn. Scoop ice cream into mason jars first, at Colin Cowie. 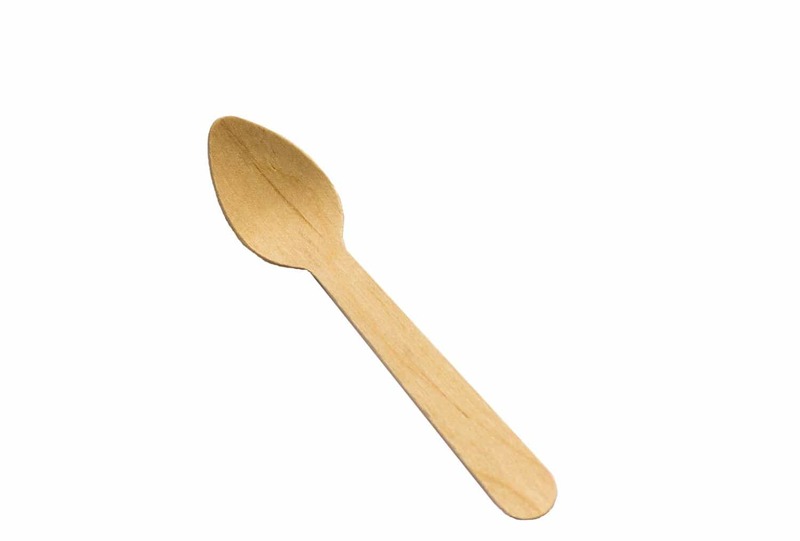 Or pre-scoop your ice cream, from Oh Happy Day. 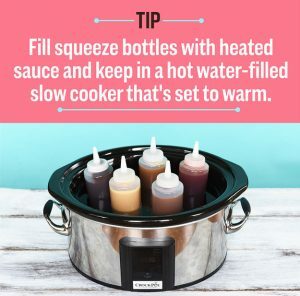 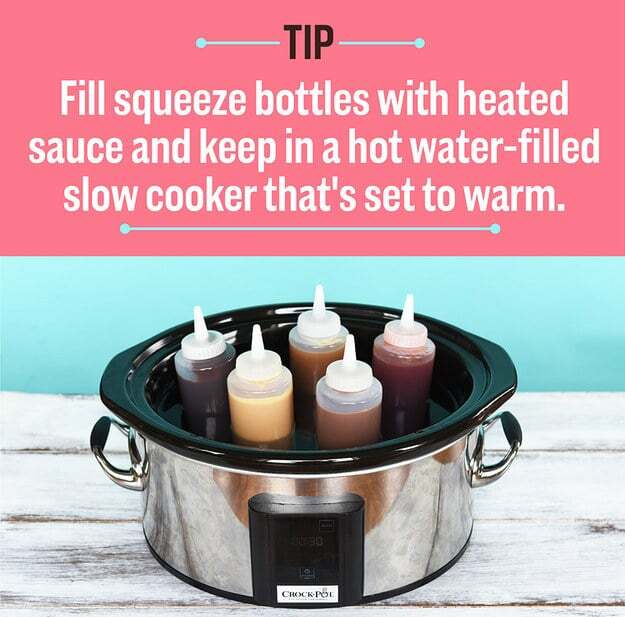 How to keep your topping sauces warm, from Buzzfeed. 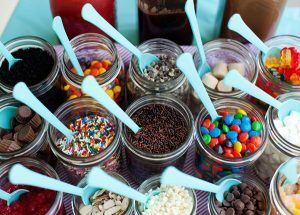 Put toppings in mason jars at Baked Bree. 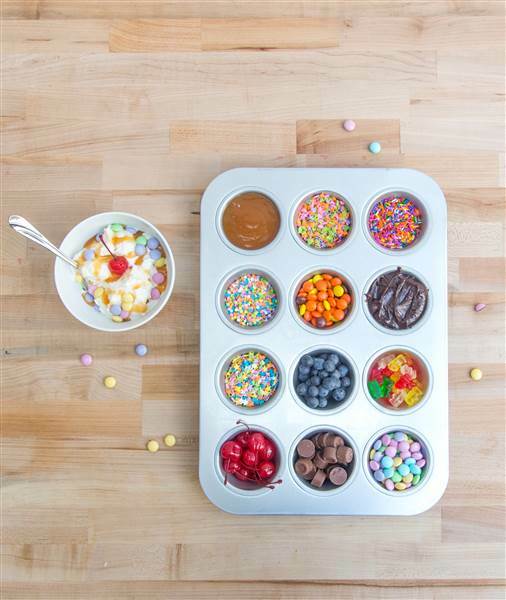 Or, put the toppings in muffin tins, at Today. 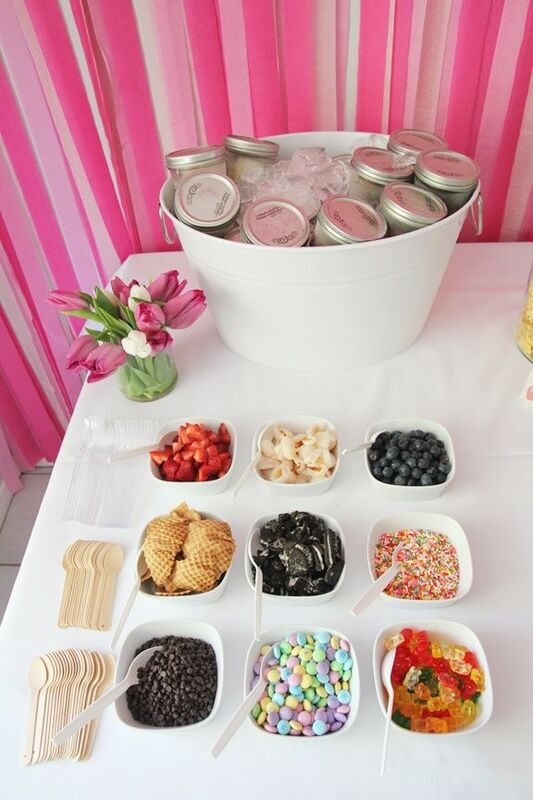 Or put the toppings in mini bowls, at Style Me Pretty. 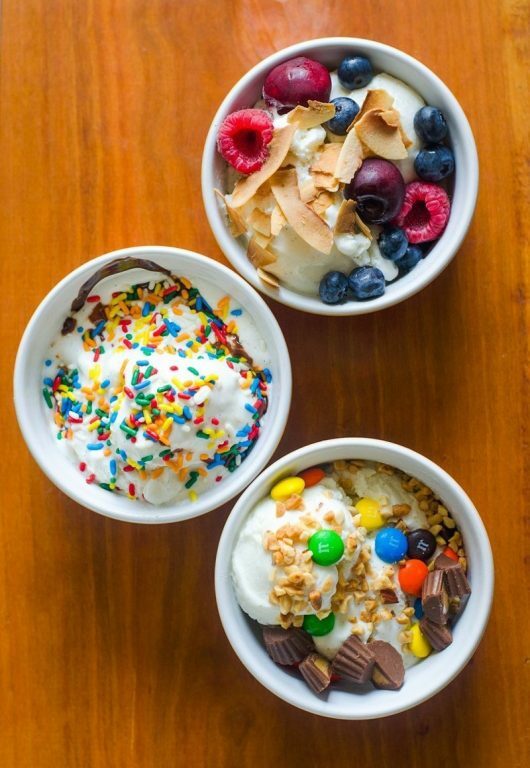 Be sure to include some more unusual ice cream topping choices, at chow. 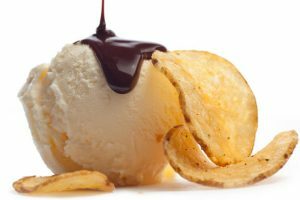 Here are more unusual ice cream toppings, at the kitchn. 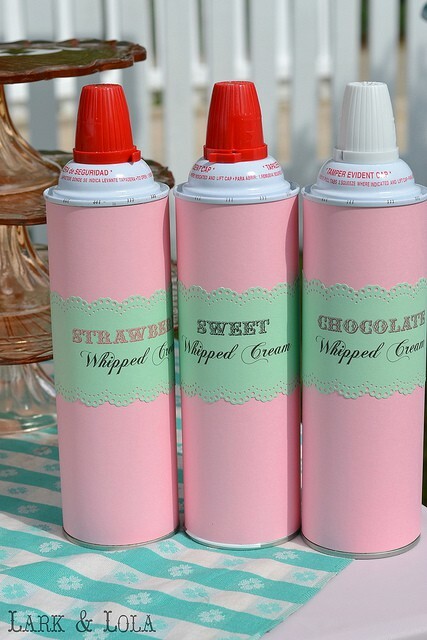 Make the whipped cream pretty at Last Day Ago. 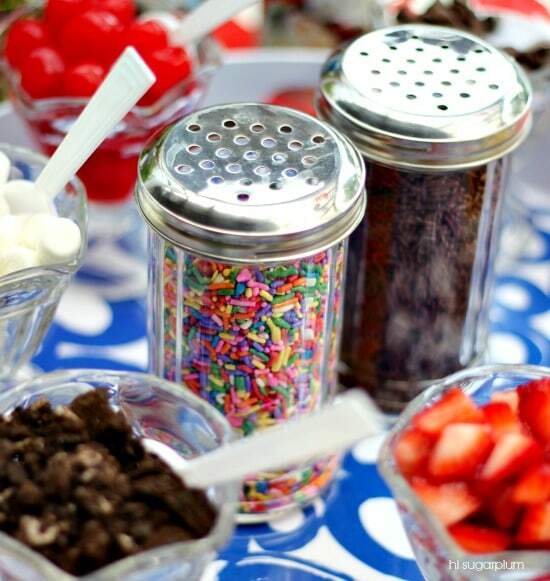 Serve sprinkles in shaker jars, from Hi Sugarplum. 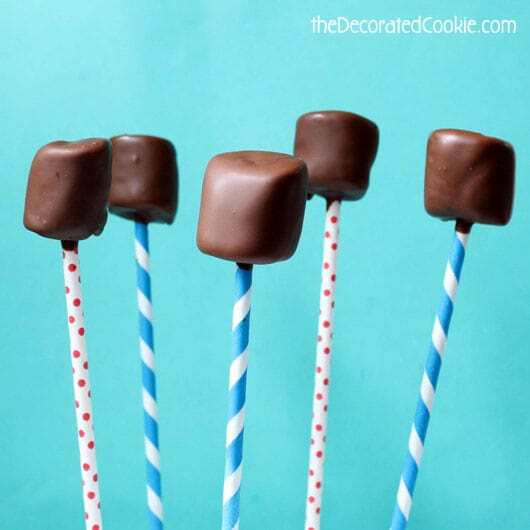 Make your own magic shell at the decorated cookie. 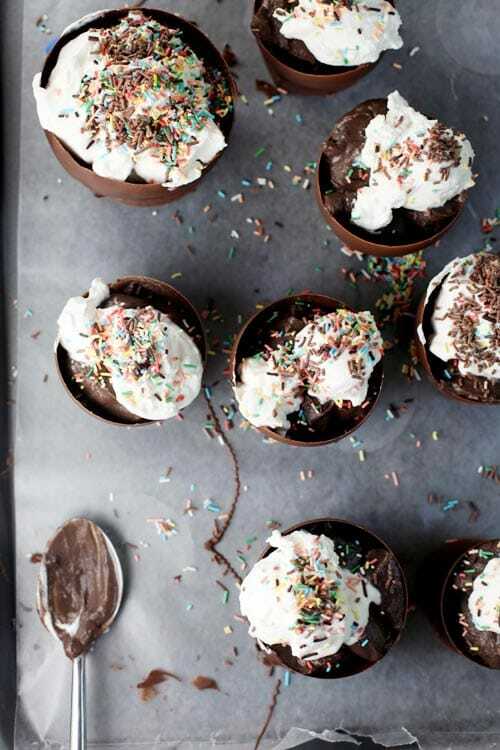 Make chocolate bowls with balloons at bakerella. 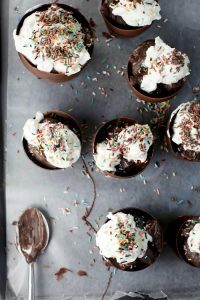 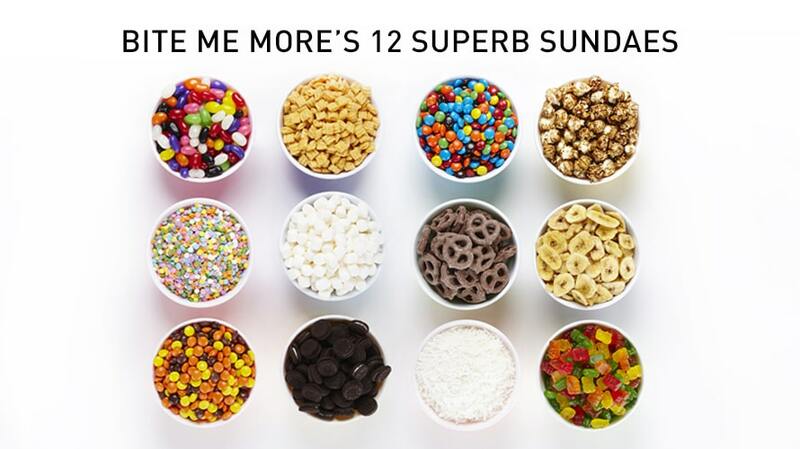 Find ice cream sundae recipes at Bite Me More. 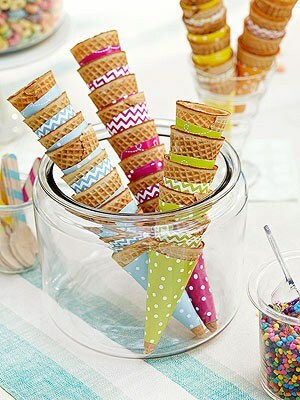 Find FREE ice cream cone wrapper printables at Living Locurto. 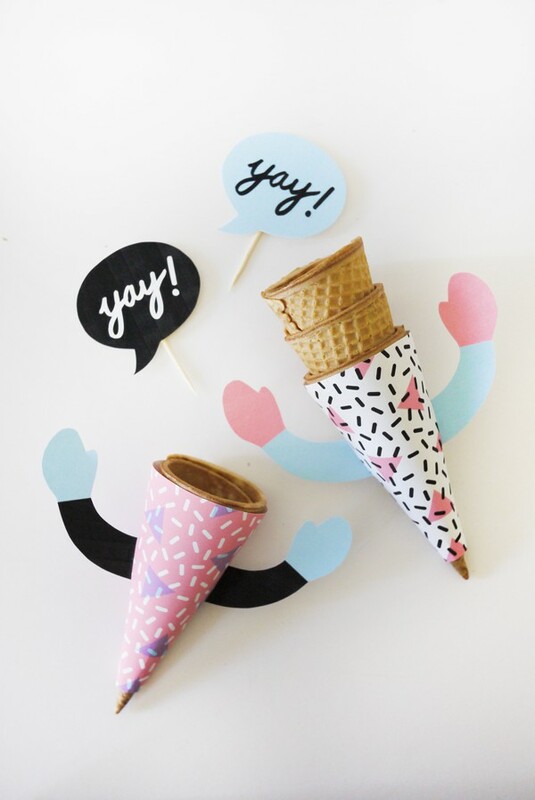 Find FREE ice cream buddy printables at Oh Happy Day. 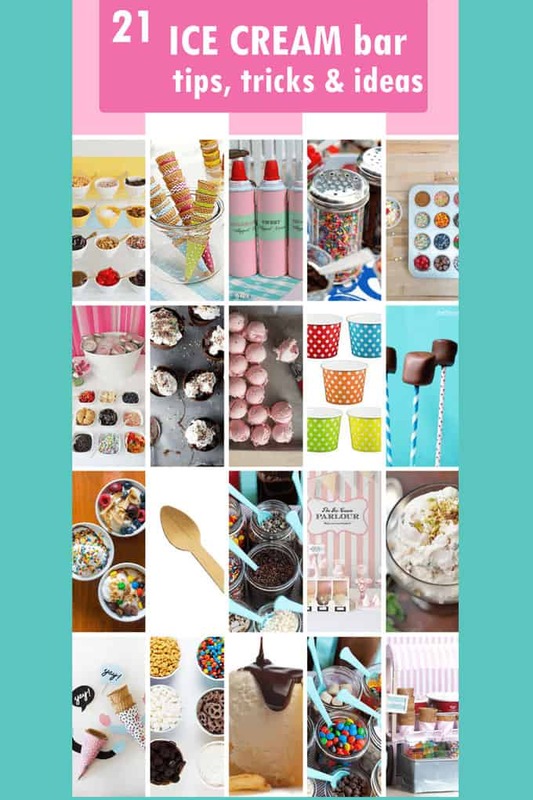 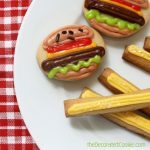 Love these printables from Eat Drink Chic. 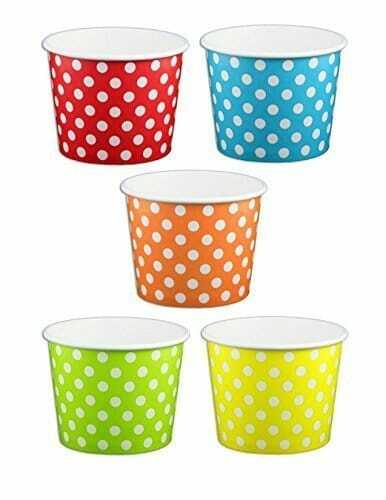 Find polka dot ice cream cups at amazon. Find wooden spoons at amazon. Make your own ice cream cone stand at Nifty.